In my last blog entry, I wrote at length about what I love about books, but I think to understand why I love them, you need to know how I came to love them and the role they played in my early life. I cannot remember a time when I didn’t read. I don’t remember learning to read, and I have no idea if I read at an extremely early age or not. But I do remember always being a voracious reader. I read everything I could get my hands on, including the backs of the cereal boxes on the kitchen table every morning. And I know exactly where I got this need to read from. My mother. Back before my sister and I were born, back in the 1960’s, my mother worked at a news service – a distribution center for books and magazines where trucks dropped of books coming in from publishers, or returned unsold books from book stores around the region. One of her jobs was to rip off half the front cover of the returned books, send that back to the publisher, and to dispose of the rest of the book. The publisher meant for the news service to destroy the book, but the company let the workers take home a few. Mom built up quite a collection that way – her own, personal library. On the second floor of our old farmhouse, tucked away behind a paneled door in a spare bedroom was a walk in closet where the slope of the roof made the ceiling a little too low to be useful. Along two of the walls of this closet, illuminated by a single, bare light bulb, were four or five rows of pine boards supporting dozens, if not hundreds of books. Not all of these were from the news service. Many were bought at yard sales for a quarter a piece and later from used book stores. But the collection started with dozens of these coverless or half-covered books. That room was a treasure trove for me as a child. Among my favorites were the entire Tarzan series by Edgar Rice Burroughs. She had an entire wall of Louis L’Amour (her favorite) and Zane Grey (who she liked, but not as much). There were, of course, a boatload of Harlequin Romances, too. I’m pretty sure I avoided those. 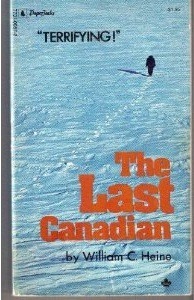 But there were also disaster fiction tomes like The Glass Inferno by Thomas Scortia and Frank Robinson, Jaws by Peter Benchley, The Last Canadian by William C. Heine, Firespill by Ian Slater and classics like The Swiss Family Robinson by Johan David Wyss, Chiefs by Stuart Woods and Roots by Alex Haley. I spent hours perusing these shelves and days curled up in an old wicker chair reading those books. Eventually, we started adding authors like Tom Clancy and Stephen King and John Grisham to the mix. King’s Christine scared the crap out of me, and dared me to write my first horror novella. Tom Clancy’s Red Storm Rising inspired me to write my first novel. I just kept reading. I can’t say that I started out reading those adult books. 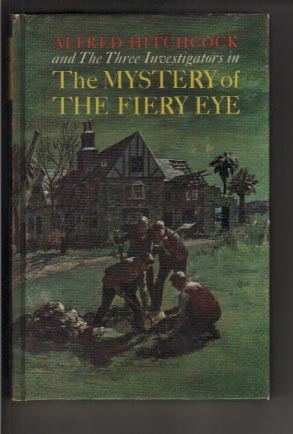 I loved reading The Three Investigators, Encyclopedia Brown, The Hardy Boys and Tom Swift. I had collections of all of those, and if I have one regret about my books, it’s that I didn’t keep them. Not only for me, but for my kids. I read Judy Blume and Black Beauty and Aesop’s Fables and comic books (more Bugs Bunny and Little Lulu than Justice League). In elementary school, we had the Multiple Sclerosis Read-athon, and for me that was like giving me a license to print money. What? I get to read and call it homework? You had to be really careful how much you sponsored me for. I could bankrupt you. When we ran out of books at home, we took frequent trips to the library. The librarians knew that when I brought a stack of books to the counter that exceeded the maximum checkout rule, that I was good for it. The books would be back soon. I remember the librarian – Madeline, I believe her name was – with her dark hair always done up in a bun with a pencil or two hidden in there, who got to spend all day surrounded by books. I was jealous. Her job, for a while, seemed like the coolest job in the world. I took care of my books. I treated them like the treasures they were and are. I didn’t realize how much work went into creating them, but I loved the worlds they created for me and the places they took me. I grew up on a small family farm in Canada, and the winters could be brutally cold. But I could sink into a chair and be on an island with a certain Swiss Family in minutes, or swinging through the jungle with a wildman in no time. Now, as a parent, my kids are exposed to books every day. Both my wife and I read, a lot. My office is stacked with books. The kids already have a huge collection of story books, and we read to them every night. There is no greater threat we can make when they are misbehaving at bed time than to say, “Okay then, no book.”. I can count on one finger the number of times we’ve actually carried out that threat, and the only time they don’t get a book is if we are coming home late from a road trip and they go straight from the car to bed. Sure, there are nights that neither of us feel like reading to them, and we say ‘short book’, and scamper out of the room as quick as we can. They don’t yet care for their books in the way I want them to. Some of the covers are ripped and torn, or colored with crayons, and that makes me cringe. But they want to learn to read, and even if they can’t read yet (they’re just 4), my daughter will turn the pages and tell the story as she sees it if we are not available. That’s so cute, it’s almost beyond words. And when they actually start reading to us, or reading on their own, it’ll hit me right… there. Someday, I am sure I will go to the library with them, and they will want to take more books out than the library allows. But the librarian will recognize them and say it’s okay, because they will know they will read them all, and they will be back for more, long before the books are due. That’s a circle that will trace its roots back to that little storage room and those shelves of books, and back to a grandmother who was also, always reading. I’m jealous of your mom’s attic! I didn’t have anything like that. I got books from the school library. Way too much Hardy Boys. Later, when I was old enough to be interested, I went through my dad’s golden age sci-fi collection, which was pretty extensive. Well, maybe not all that extensive. Way too much Heinlein. But, at least I got the gems: Stranger in a Strange Land and The Moon is a Harsh Mistress. Asimov. Even a bunch of Vonnegut, much of which was too weird for me to really appreciate at the time.